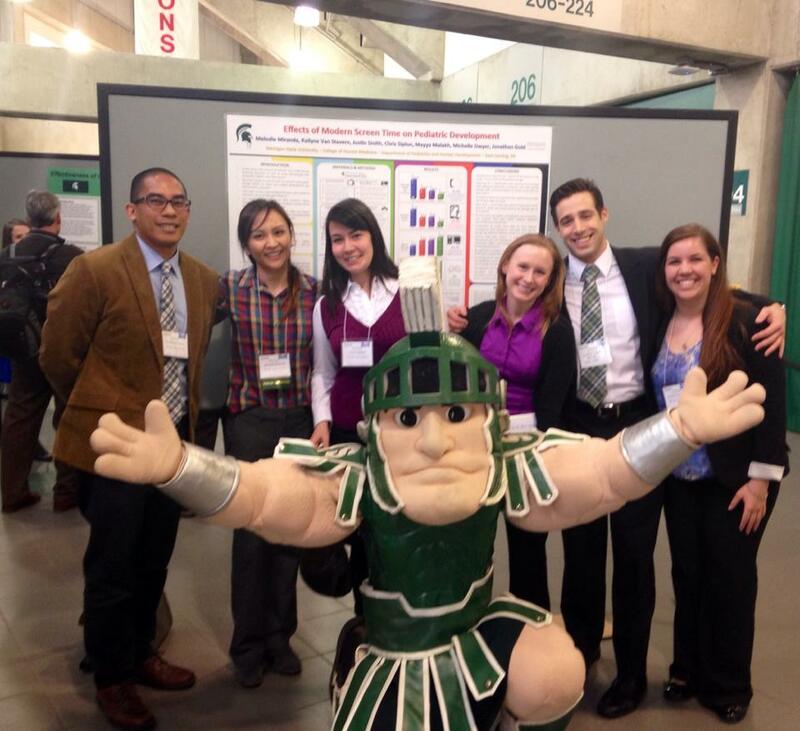 MSRJ editors and staff recently attended the Pediatrics Research Day in East Lansing, Michigan on March 19, 2014. This event was sponsored by Michigan State University Department of Pediatrics and Human Development and the Wayne State University Department of Pediatrics, DMC Children’s Hospital of Michigan. There were 60 poster presentations and 6 oral presentations by undergraduates, medical students, and pediatric residents during the event. Included in these poster presentations was one by our very own senior editors, Kailyne Van Stavern and Michelle Dwyer along with several of their colleagues. Their faculty advisor, Jonathon Gold, M.D., is also a faculty reviewer for the Medical Student Research Journal. They presented their research regarding screen time in pediatric patients and how it relates to their development, an important topic in this day’s technological world. This poster won one of five “Poster of Distinction” awards out of all the present undergraduates, medical students, and residents. We at the MSRJ are very proud of our staff members for this honor and their continual dedication to research. In addition to the extraordinary work presented by the participants, speakers from the NIH, the University of Iowa and Children’s Hospital of Michigan attended as keynote speakers for the day. The topics discussed during the day were of wide variety, including discussions about Pediatric Academics in the 21st century, the role of cardioprotection in cardiotoxicity secondary to pediatric chemotherapy, and genetic approaches to restoring CFTR function in Cystic Fibrosis. 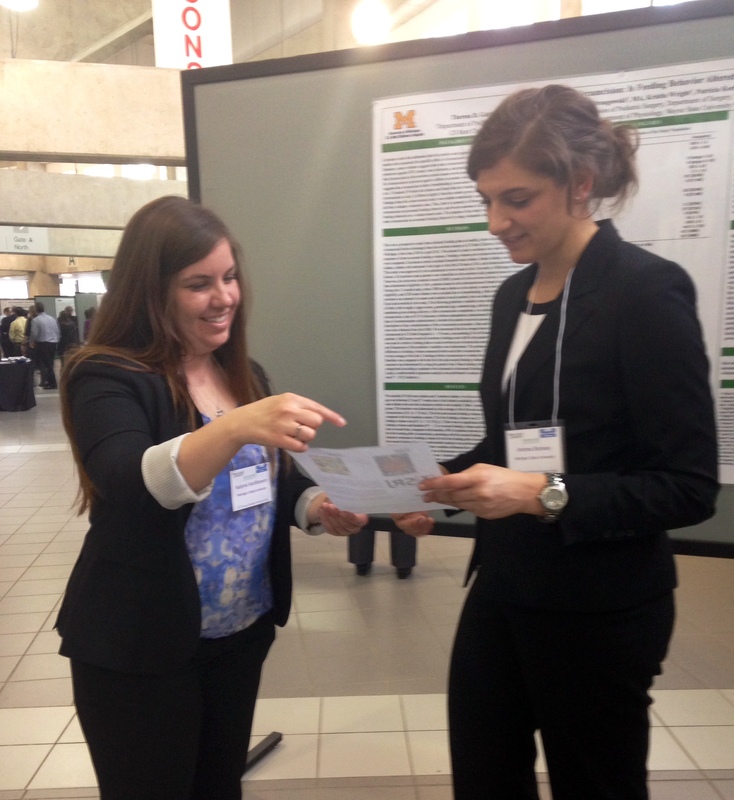 The pediatrics research day was academically stimulating and career inspiring. Members of the MSRJ also attended the event to spread the word about the journal. We were able to discuss publishing with all of the medical students at the conference as well as inform various pediatric faculty members around the state of Michigan about the MSRJ. We are always grateful for these opportunities to connect with the medical community and to continue to increase our submissions and readership.